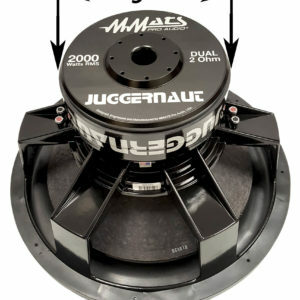 • Juggernaut Series III-maximum SPL car subwoofer for the street or competition. • 9” wide magnets for higher gauss and greater flux density. 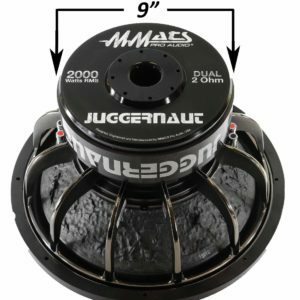 • Double stacked magnet for the street versions (2000 Watts RMS continuous) Triple stacked magnets for competition (4000 Watts Burst only) Multi-layer spider assembly variable depending upon application, 4 different voice coil configurations from dual .5 to dual 2. 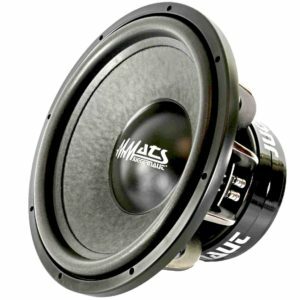 • Radius-vented back plate provides direct cooling to the voice coil. 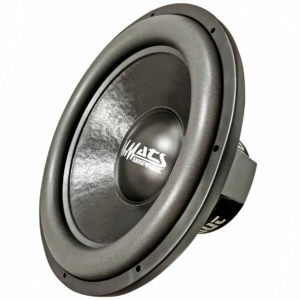 • Numerous DB Drag Racing World Records round out our incredible subwoofers! • Available in 12”, 15” and 18” models. You must experience the incredible windshield flexing bass from the Juggernaut series that has to be felt to be believed. When used in conjunction with our D-Class monoblock amplifiers your car will be heard long before it is seen. Turn one of our subwoofer systems up and watch the crowd form around your car in awe of the incredible sound it is producing. View cart “Juggernaut12” has been added to your cart.